Why buy those expensive containers of bread crumbs when you can make your own for a fraction of the cost? If you’ve ever wondered how to make bread crumbs, it couldn’t be easier. Almost any kind of bread will work except for sweet breads. Save the heels of bread, the lone hot dog and hamburger bun left in the bag, bagels that have dried out, etc. 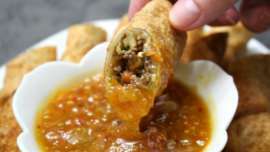 Then a couple of times a week put them through your food processor. You can also buy day old bread and rolls from the bakery section of your local grocery store. 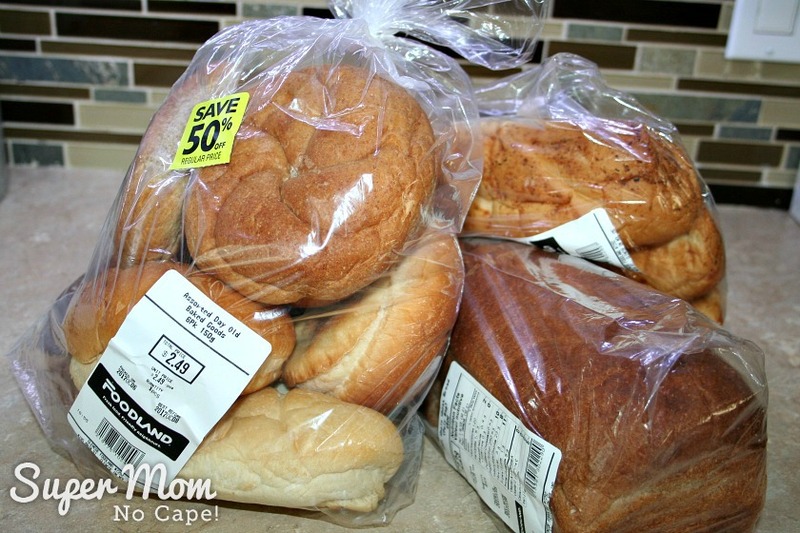 Look for the “Oops We Overbaked” racks to find all kinds of different bread and rolls. When I don’t have my own homemade bread to use, I like to pick up a combination of white, wholewheat and rye. 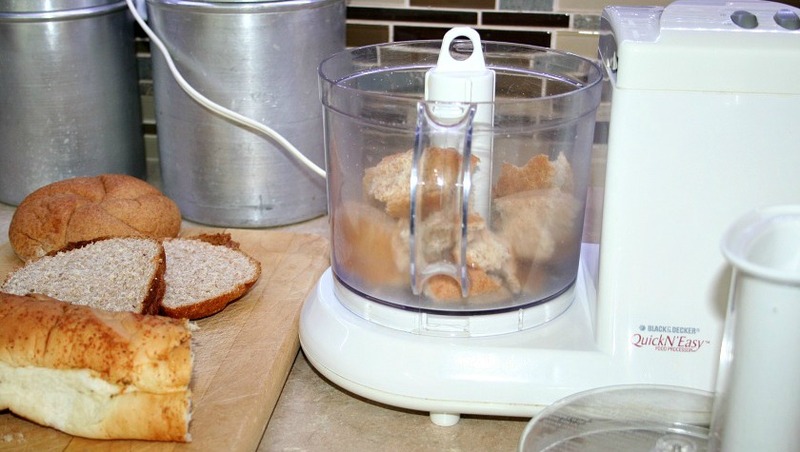 You don’t need any kind of fancy equipment to make bread crumbs. The food processor pictured below is a Black & Decker that I picked up at a home goods store when our kids were little. I wasn’t able to find this exact model for you… they probably discontinued them years ago but I was able to find this Black & Decker 10-Cup Food Processor . Mine has been a real workhorse in the kitchen for the past 25+ years making everything from bread crumbs to baby food to the spread for Caper Snacks. Slice or break up the bread and rolls into golf ball size pieces. 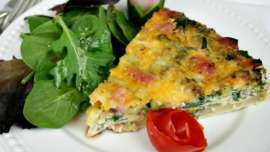 Fill the bowl of the food processor between half and two-thirds full. To avoid the pieces of bread bogging down and not chopping properly… don’t overfill the bowl. Process until the crumbs are the size you want them. If you’re making stuffing, you might want them a bit courser. If you’re using them to bread fish, chicken or pork, you’ll want to make the bread crumbs a bit finer by running the processor for longer. Heavier whole grain breads and rolls will take longer to process. You may find that using the pulse button on your machine helps for the initial chopping. 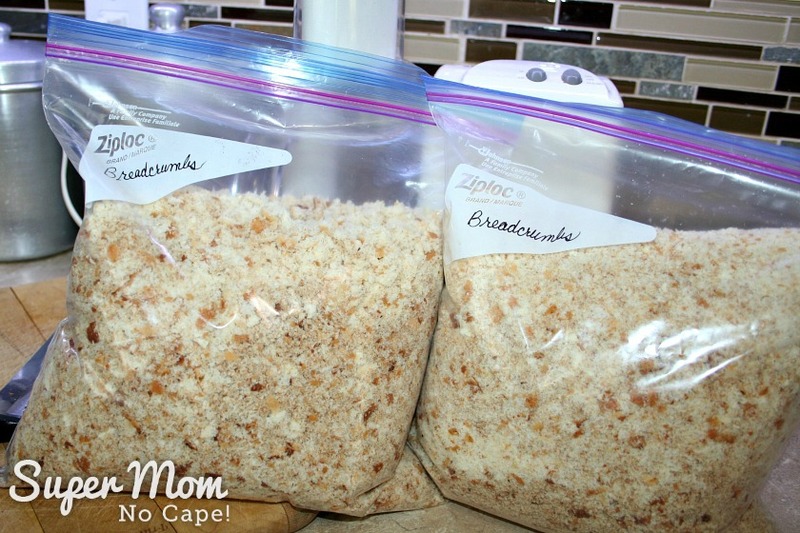 After processing, bag them and freeze for use whenever a recipe calls for bread crumbs. If you like, add your favorite dried herbs or seasonings, give the bag a shake and then freeze. For instance, homemade Italian seasoning is a great addition to plain homemade bread crumbs. Having them on hand means one less step when you want to make breading for fish, chicken or pork. 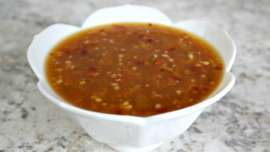 Or add them to ground beef when making meatloaf or meatballs. Just be sure to label each bag so that you know what kind of seasoned bread crumbs it contains. 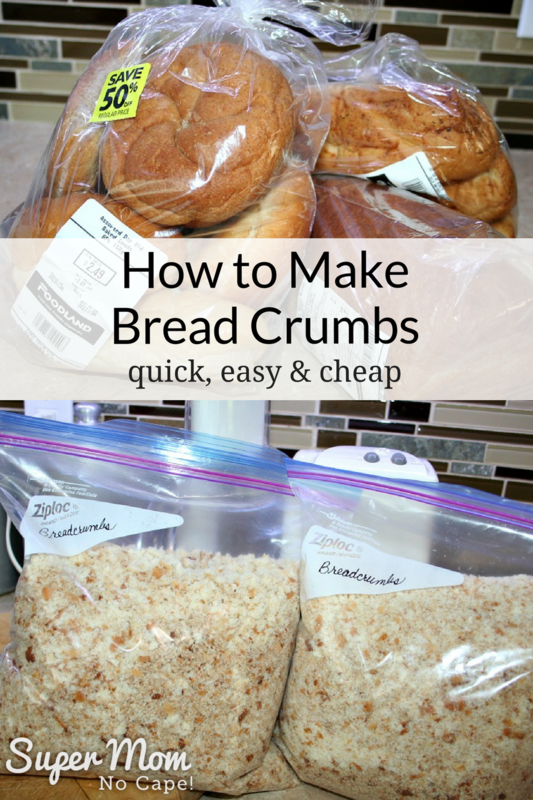 For just pennies and a few minutes of your time, you can have homemade plain and seasoned bread crumbs ready in the freezer whenever you need them. Save How to Make Bread Crumbs for future reference by clicking on the Pinterest button underneath this post. 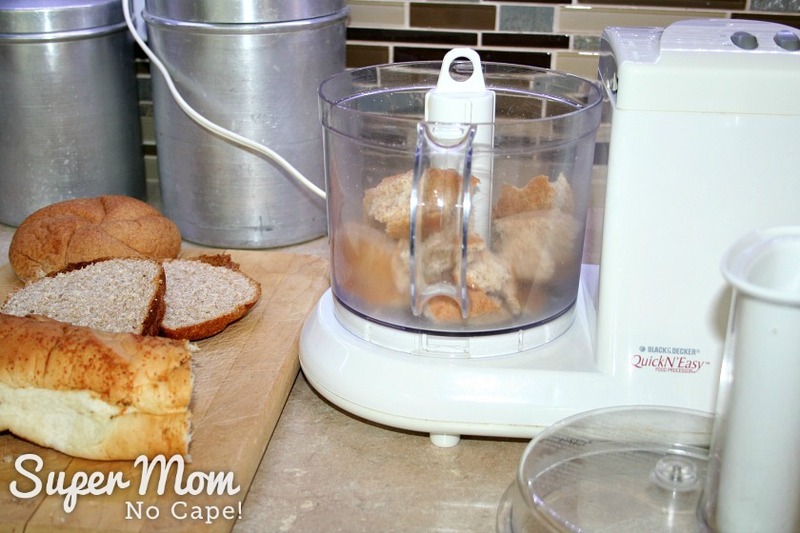 Please note: How to Make Bread Crumbs was originally published on Super Mom – No Cape in November 2008. It has been completely updated with new photos and text. How to Add Thrift Store Finds to Your Home – Without Buyer’s Regret! Great idea to use the discount breads from the store. My Walmart always has some type of bread in the clearance area.